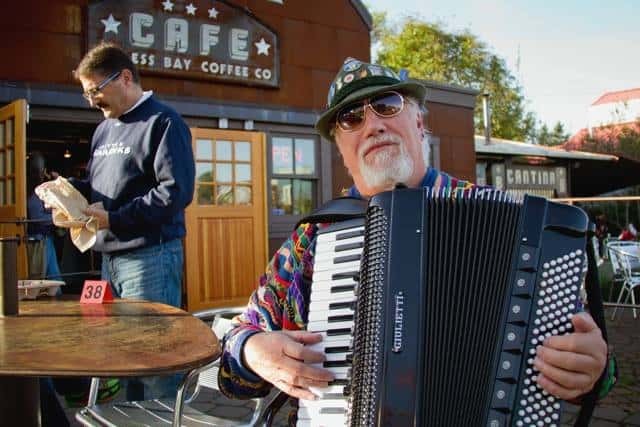 Nothing complements your time on Whidbey Island quite like great evening of live music. Whether you prefer a performance of classical or baroque music by our our own Saratoga Orchestra, one of our several annual music festivals that draws audiences and bands from across the country, or an evening with one of our many talented local artists at our local venues, you’ll find something that suits your taste on Whidbey Island. The Taproom at Bayview Corner features local acts every Tuesday from 7pm-9pm. Blooms wine tasting room features local acts every Sunday evening from 3pm-5pm. They also host an open mic on the second Friday of every month at 7pm. Flyers offers regular live music. Keep up with their schedule on their facebook page. Ott and Murphy features live music during their Friday and Saturday evening cabaret. They usually feature two seatings per night, reservations are recommended. Front Street Grill has live music every Wednesday at 6pm. Check their calendar on their website. WICA offers many live music performances throughout the year that feature talented and diverse artists. Keep up with their schedule on their website. Oak Harbor proudly presents Holland Happening, an annual three-day celebration, usually held in May that honors the unique Dutch Heritage of Oak Harbor. 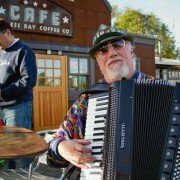 South Whidbey Acoustic Music Festival – September. Past performers include Gloria Ferry-Brennan, Joann Quintana Band, Siri Bardarson, and Beverly Graham. More info can be found on their facebook page here. The annual arts festival held every summer in the Village of Langley. There are two main stages with 30 bands playing throughout this Whidbey Island Festival, featuring all musical genres. This is a major music festival that attracts people from all over the country. Things are only looking to get even bigger next year with more than 30 bands scheduled to perform.